Image courtesy of Camden Cats Media. Women’s footy has been a spectacular growth area in our game in recent years, leading to the creation of AFL Sydney’s Division Two this year. In the last couple of seasons we’ve seen plenty of clubs fielding women’s teams for the first time, and it’s fitting that two of them will be fighting out the inaugural Division Two Grand Final when Holroyd-Parramatta Goannas takes on Camden Cats. 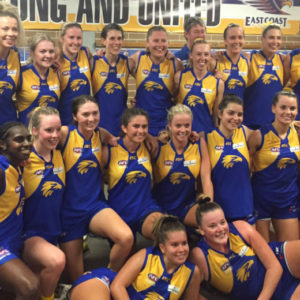 Holroyd-Parramatta took the plunge into womens footy for the first time in 2018, and soon realised that they had a team capable of matching it with the best in the division. For a team where few of their numbers had played the game before, they learned their lessons quickly and had a highly successful season, dropping just two games during the home and away season and then getting over Camden in the Semi-Finals with a 12-point result at Henson Park. Karley Stretton established herself as a forward capable of spearheading a charge to a winning score with an impressive return of 26 goals for the season. Anneleise Barton and Kelly Guiliano have picked up plenty of the ball around the ground this season, and will be determined to make a contribution to Premiership success. Camden were fielding a womens’ team for the second time, after making their debut in 2017. The Cats were a force in this division, remaining undefeated until the last round of the regular season. But the Cats were then beaten by the Goannas in the last round in the home and away season and again in the Semi-Finals, before bouncing back to defeat Macquarie University in the Preliminary Final. 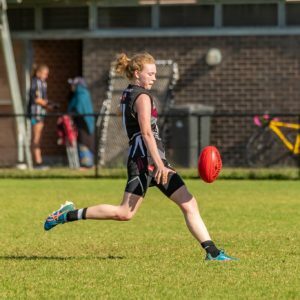 Much of their success in 2018 came off the boot of Lauren Bragg, who has the rights to talk herself up after kicking a whopping 63 goals this season and being a runaway winner in the Andrews-Burgmann Medal for Best and Fairest in the division, presented on Monday night. Celene Watson and Amy Steele have been impressive performers for the Cats this season, playing key roles around the ground in getting the Cats over the line in some close games. It’s the fourth meeting between the two clubs this season. In Round 6 at Fairfax Reserve, the Cats got the job done by 15 points. 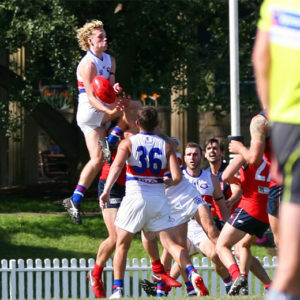 After the competition was split for the last four rounds, the two sides played again in the final home and away round, when the Goannas inflicted the Cats’ first loss of the season with a 12-point result. The Goannas were again successful in the Semi-Finals. This game will be a celebration. 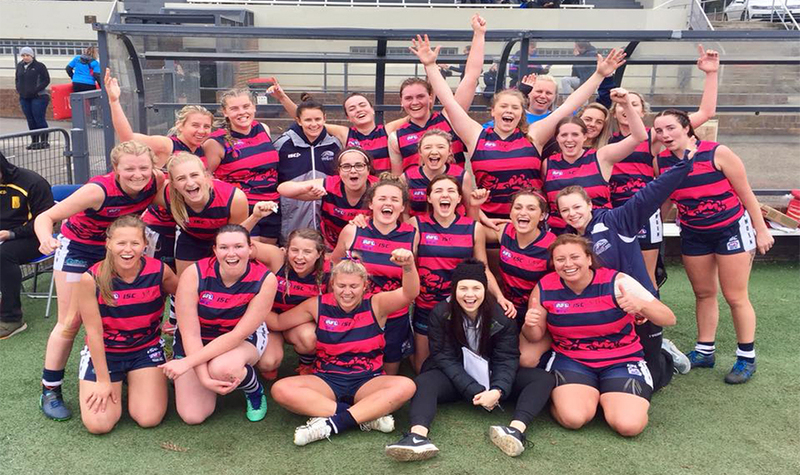 Two teams still new to women’s footy, and making a contribution towards the growth of the game. Both teams will be determined, will put up plenty of fight, and keen to see their club lift a women’s footy trophy for the first time. But with the recent run of success and having already beaten the Cats twice in the last month, this is the perfect opportunity for the Goannas to complete the perfect debut season. There won’t be much in it, but they can get it done. 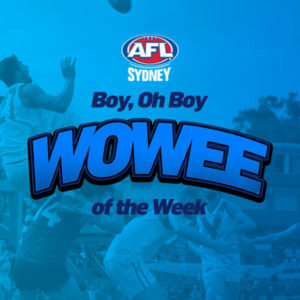 Prediction – Holroyd-Parramatta by 5 points.